Not every retailer that offers discount pricing actually saves you money, and sometimes the best values on pet supplies are found in surprising places. Whether you are looking for pet food discounts, or good deals on vitamins, wormers, bedding, toys, treats, and more, these retailers won't disappoint. Dog.com offers a low price guarantee that is hard to beat. If you find the same item offered by a competitor at a lower price, they will refund 120 percent of the price difference. The company also operates Ferret.com and Horse.com, both of which offer the same price guarantee. Don't forget to check out their clearance sections as well where you will find discounts as deep as 70 percent. These sites carry everything from chew toys to storage sheds. Find supplies for all your pets, from kittens to snakes, at Greg Robert Pet Supplies. The company features more than 20,000 items at highly competitive prices and earned an A+ rating from the Better Business Bureau. They were also featured in Woman's Day magazine as one of the best sites online for discounted pet supplies. Doctors Foster and Smith has been a trusted source in discount pet supplies for years. As a pet owner, you may already receive their catalog in the mail, but they can also be found online. The company carries a broad range of name brand pet foods and supplies at competitive prices. Their signature brand foods, however, carry an everyday low price that is less than half the price of the other brands. Besides pet food, you'll find pet health supplies, collars, bedding, and other accessories. Be sure to check out the sale center area of their site, as well. 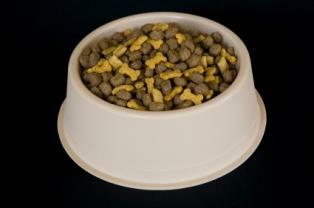 Jeffers Pet offers private label foods at approximately half the cost of comparable mainstream brands. They also carry a number of promotional items that are priced to sell. Be sure to check out the "$1, $2, Specials" and clearance pages on their website to find the best values. Shipping is free on orders over $60. Shop here for toys, treats, health supplies, bedding and more. PetSmart isn't typically thought of as a discount chain, but they do offer frequent sales. They also reward volume purchasers with deep discounts. Don't forget to check out their web-only specials as well. To be in the know about their best values, sign up for the PetPerks Rewards program. The Pet Supplies section of Amazon.com typically offers items discounted by as much as 30 percent. The company wields tremendous purchasing power, and they pass a portion of their savings on to their customers. With an Amazon Prime membership, shipping is free as well. Walmart, always a low price leader, offers a broad range of discounted pet supplies. Whether you need food, medicine, or toys for your dog, cat, bird, or horse, you will find it at Walmart. They carry numerous name brands, including a range of ASPCA approved items. For greatest savings, visit their pet supplies Rollback section. The only way to be certain you're getting a great value is to comparison shop. If you belong to a food warehouse such as Costco or Sam's Club, be sure to compare their prices against those of the other retailers listed here. Sometimes they will be lower, but not always. When possible, add to your savings with coupons to get the very best deal.